(SR5) Sony vs Samsung -> Competing in the mirrorless camera segment…with the same lens manufactor? We don’t need to be a clairvoyant to see that Sony and Samsung will both play a big role in the future mirroless and interchangeable camera market. But what I really didn’t know until today is that both companies are working together with the Optrontec company which will produce the lenses for both mirrorless system..the one from Samsung and the one from Sony! The news is from yahoo.kr which has been published in December! (SR3) Sony to launch a new mirror-less camera in March? 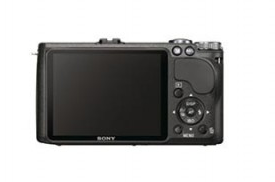 One of our sources said that Sony has already a working model of the new APS-C mirrorless camera. A possible launche date could be March 2010. It will be a compact model a lÃ .